Are you and your business in pain? Are you tired of missed deadlines, balance sheets bleeding red from cost overruns? I can help you with this. 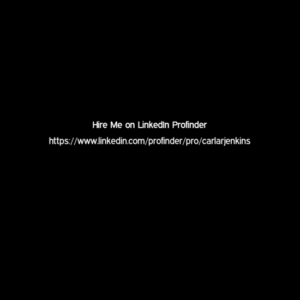 I am on LinkedIn Profinder actively looking to partner with great companies and individuals in the areas of project management, program management, data analytics, and brand management to increase productivity and efficient delivery of high-quality goods and services. Need proof? Cick to check out LinkedIn Profinder ranking ME the best in project management!